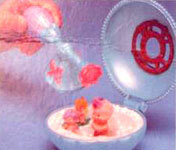 Images on this page thanks to Annee and various eBay sellers including stinkerbellem , satchel_4 and kmyers9 ! 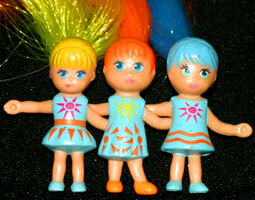 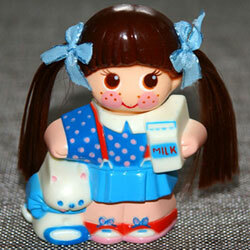 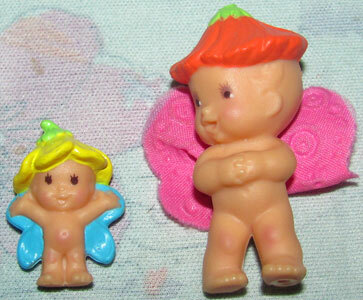 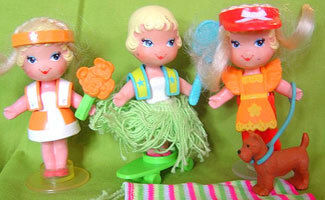 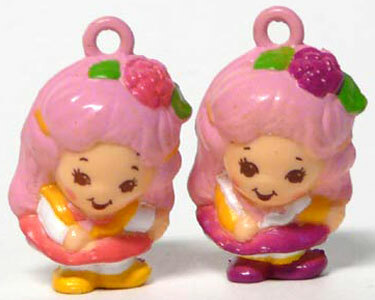 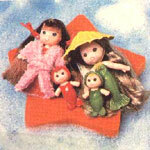 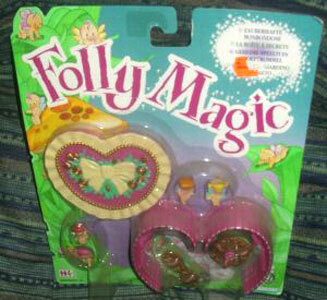 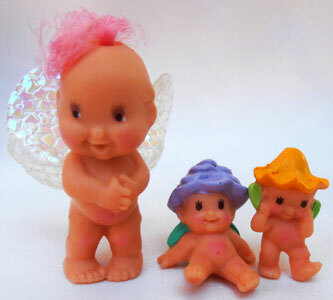 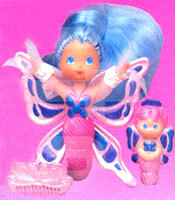 There were two sets in the Fairy Sweets Collection, and both had colour variations. 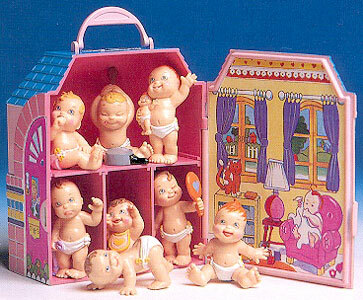 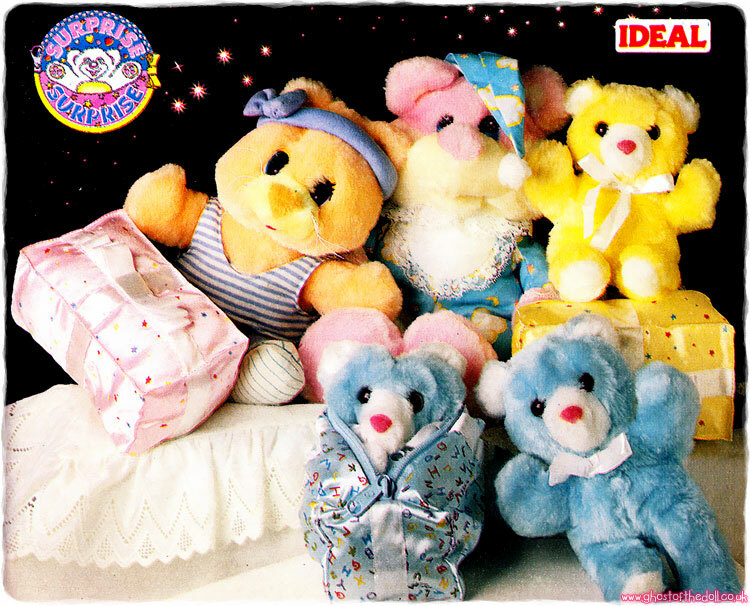 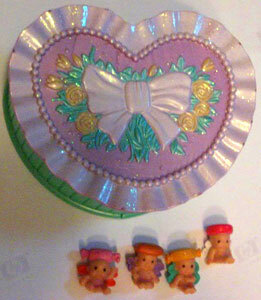 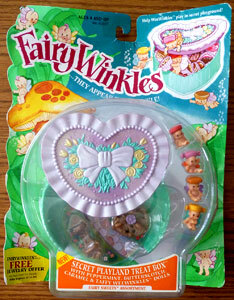 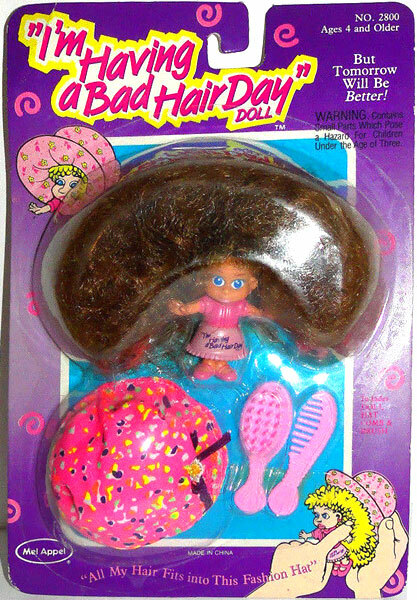 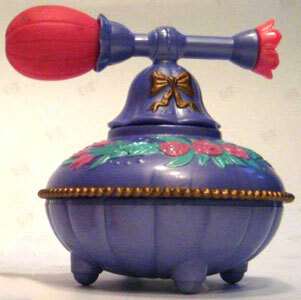 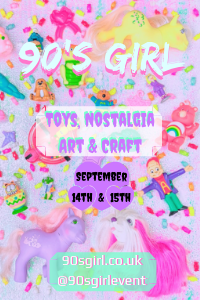 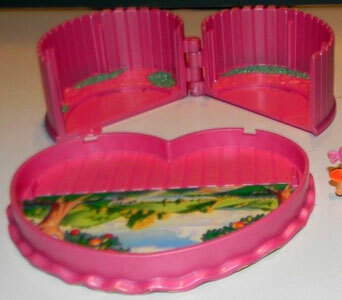 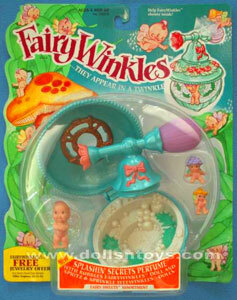 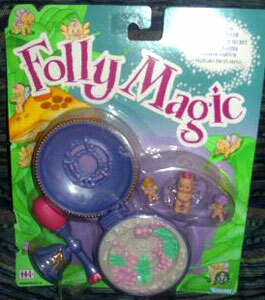 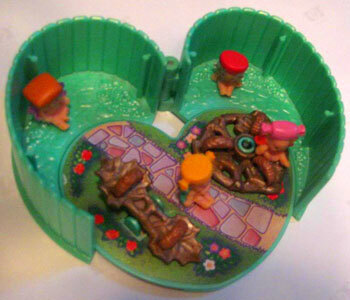 The Take Along Secrets Collection, Fairy Sweets Collection and Teapot Twinkle Theatre playset were all part of the second series produced in 1994 in the US (probably 1995 in UK/Europe, but only on a very small scale). 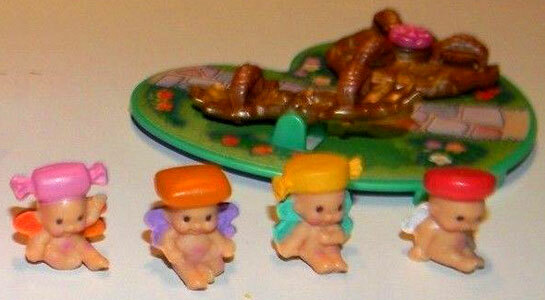 "Help WeeWinkles play in secret playland! 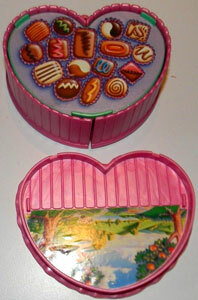 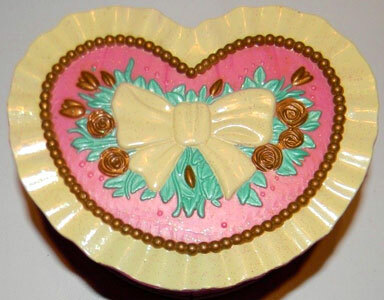 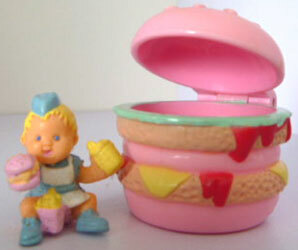 Secret Playland Treat Box comes with Peppermint, Butterscotch, Caramel and Taffy WeeWinkles." 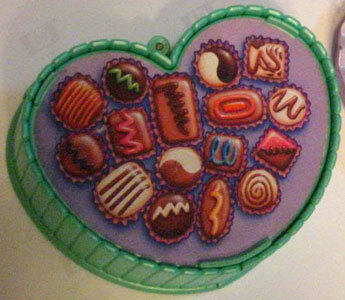 "What a sweet surprise! 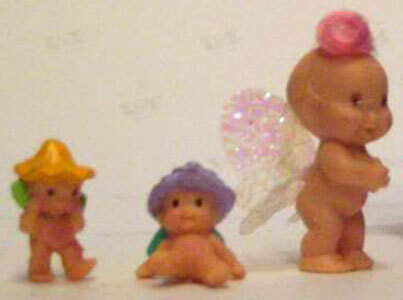 Remove the sprayer, lift the top off the base and Bubbles FairyWinkles and Spritz & Sprinkles WeeWinkles are ready for a bath after their game of hide 'n seek with you. 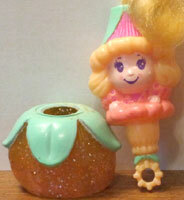 Fill the sprayer by sinking the sprayer head under water then squeezing and releasing. 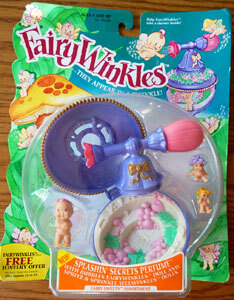 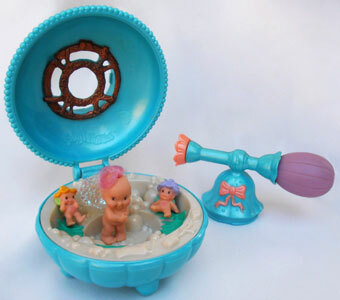 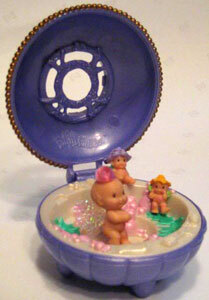 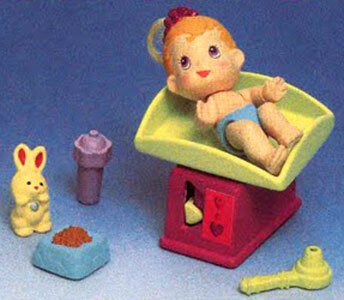 Squeeze bulb to spray Bubbles while giggly Spritz and Sprinkles sit on the tub seat to showery sprinkly fun."